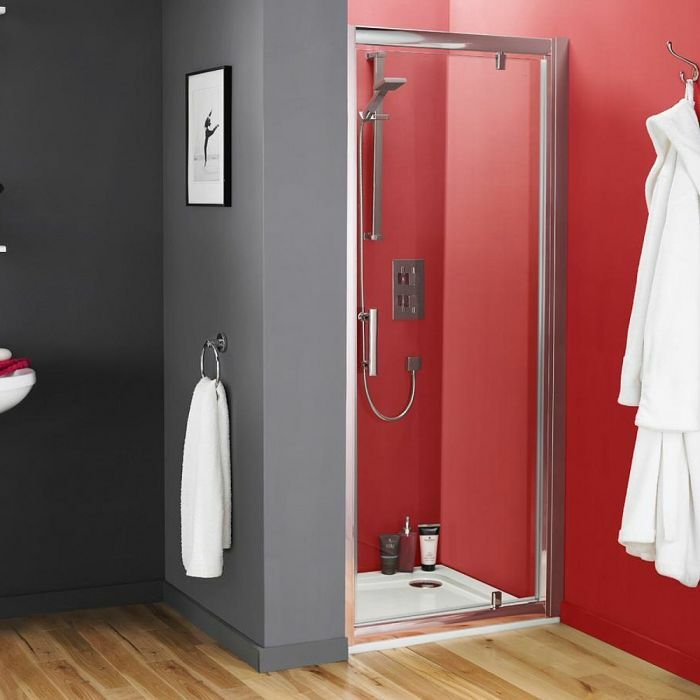 Smarten up your bathroom or en-suite with the Premier Pacific 900mm pivot shower door. 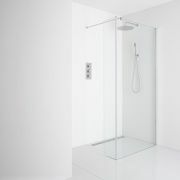 Suitable for installation in a recess or with a side panel, this pivot shower door features 6mm toughened glass and a polished chrome frame. 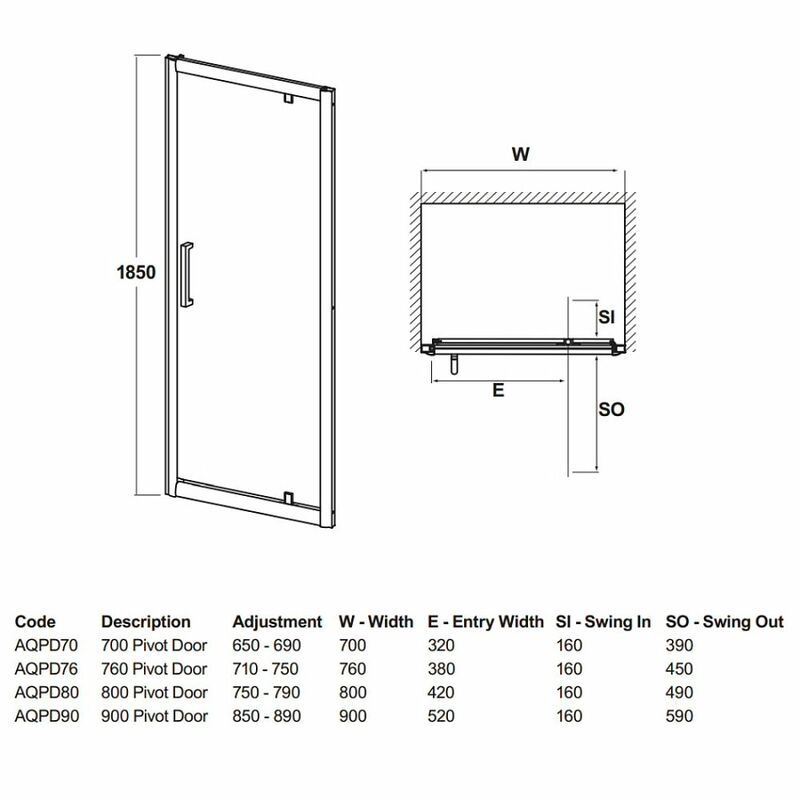 The pivot shower door measures 900mm in width and 1850mm in height. 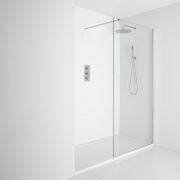 Please note: side panel and shower tray not supplied.